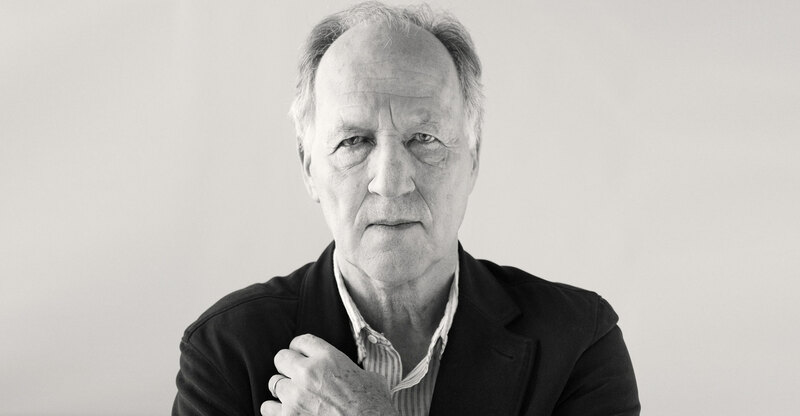 Mr. Herzog, do you think someone would ever be crazy enough to hire you to direct an epic blockbuster? It wouldn’t be crazy at all, because I am capable of producing huge films for a fraction of the money that Hollywood would spend. A big epic film like Aguirre, the Wrath of God, if Hollywood started to contemplate this film, they wouldn’t think under 50 million dollars. That is the scope, no one would dare to touch it. However, the grand total budget of the film was 360,000 dollars, at the time in 1970. Let’s just say that today it would be twice as much, let’s say 700 or 800 thousand dollars. Would you say that you are more popular today than you’ve ever been before? I don’t know. I can’t really judge, because I do not relate to things such as popularity. It is completely vague and unknown to me what it means. I still live basically the same life. I do not have and I do not need material things. My material world is extremely small and limited. It can’t be that small. I own one single suit that I’m wearing right now and in the last 25 years I’ve never had another suit. And the shoes that I’m wearing I’ve been wearing for 3 years and they are my only pair of shoes. I need to replace them because they are starting to come apart. I don’t need 20 pairs of shoes. I have a car that I’ve had for 12 years. It’s fine, I enjoy life and things are very basic. I don’t have social networks in the Internet for example. I don’t even have a cell phone. I’m probably the last holdout. Werner Herzog protesting against the shallowness of TV culture by eating his shoe, in a documentary by American filmmaker Les Blank in 1980. I know a few people like that… Everyone hates them because you can never get in touch with them. I just don’t want to be available all the time. I love to connect with people but in a more fundamental way. I never go to parties, but I invite friends and I cook for them. We sit around a table, maximum 6 people, because if there are more people there is no space around the table. And when we speak to each other, everyone speaks about the same topic. Whereas when you are at a party, there are 200 people and loud music and in each corner there is a different topic, and small talk. What do you like cooking at these parties? They’re not parties, I cook meals for friends or for people for whom I care. I cook with my wife, but sometimes when it comes to a solid steak I do that myself. It’s a great joy to have discourse and while this is going on I take the steak and serve it and have a good bottle of wine. It’s more fundamental, the kind of social networking that I do. Your films seem to prize human connection as well. Would you say that all of your films are in some way about what it means to be human? I’m cautious about giving you any sort of category. Of course I have always been fascinated by our human condition, and I think that literature and painting does the same, if you are seriously into any of that it always has to do with our human condition. But is there a spiritual dimension that connects humanity that you are in search of? I wouldn’t really call you mainstream. My stories are wonderful and easy to understand and you can show them in Algeria, in Moscow, in Buenos Aires, all of them will understand it. And very young people understand the films. I have 15-year-old kids now writing excitedly about Aguirre as if I had made it yesterday. In a way, even though I have not had a 200 million dollar blockbuster domestic box office film, it doesn’t really matter. They are mainstream. There are hardly any other directors who do feature films and documentaries. In fact, at the moment would you know of anyone? Ah yes, he does documentaries and feature films. Who else? It’s less than a handful. But you have to be cautious anyway because I try to blur the borderlines between the two and I am very inventive in documentaries. Who would expect that in my film about cave paintings that you would see Fred Astaire dancing with his shadow in swing time? Exactly. Who would expect that I would have radioactive mutants and albino crocodiles in my film? So the amount of going wild, it’s not just my fantasy, it’s something collectively that we have – just go wild and go rampant! I’ll keep saying that until the producer has me carried out in a straight jacket. That’s the joy of filmmaking, the joy of storytelling, the joy of us witnessing cinema. But because of that I feel like you’re someone we shouldn’t trust 100 percent, like you’re an unreliable narrator. Is that true? No, you can always trust in my wild fantasies. And when it is a wild fantasy, it is absolutely clear “this is going wild now.” And we love that as an audience. Why do I have albino crocodiles in my film? Yes it’s so wonderful and in a way it’s fitting. I do invent things, but it’s always clear when I’m inventive. I felt the crocodiles were a statement about human influence on the environment. Am I in the ballpark? I’m convinced that our presence on this planet is not sustainable, so we will be extinct fairly soon. You don’t think even a part of our species will be able to adapt? Yes, we will be extinct. Human beings will be extinct, because cockroaches and reptiles have a much better survival chance. The human race is not sustainable and there are too many things that can wipe us out. Microbes are really after us, and a meteor and a massive volcanic explosion. The last really big one in New Zealand 72,000 years ago nearly wiped out everything and there are much more massive ones still looming out there. You don’t think we are intelligent enough to adapt? Does our impending extinction worry you? Do you believe in a superior being? Oh, don’t ask that – but if I knew that tomorrow a meteorite would destroy our planet, I would start shooting a new film today.